Karen Dawisha, the former Walter E. Havighurst Professor of Political Science and director of Miami University’s Havighurst Center for Russian and Post-Soviet Studies, died Wednesday, April 11, after a long illness. She was 68. Dawisha joined the Miami faculty in 2000, becoming the first Walter E. Havighurst Professor of Political Science and the founding director of the Havighurst Center for Russian and Post-Soviet Studies. She held this position until her retirement in 2016. 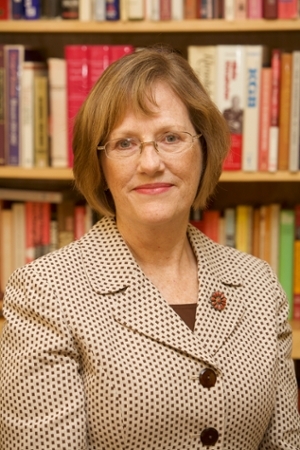 During her tenure as director, the Havighurst Center became a nationally and internationally recognized institution. Dawisha established, among other initiatives, the postdoctoral fellows program, the colloquium lecture series, the annual Young Researchers Conference and the undergraduate fellows program. Dawisha received her bachelor’s degree in politics and Russian at the University of Lancaster, England, in 1971. She earned her doctorate at the London School of Economics in 1975. Before coming to Miami, Dawisha taught at the University of Maryland. Dawisha had a long and distinguished career. She researched and taught about postcommunist transitions and Russian politics. She was the author of six books, editor of eight others, and author of numerous journal articles. Her last book, Putin’s Kleptocracy: Who Owns Russia?, was published to great acclaim by Simon & Schuster in 2014. Dawisha is survived by her husband, Adeed Dawisha, Distinguished Professor Emeritus of political science, their two children, Emile (Emily) and Nadia (both Miami graduates), and one grandson, Theo. Funeral arrangements are pending.